If you are looking for the Dropbox WordPress plugins then you are at the right place. Today, we are here with the list of best Dropbox WordPress plugins which will help you to store the backup of your WordPress site with ease. 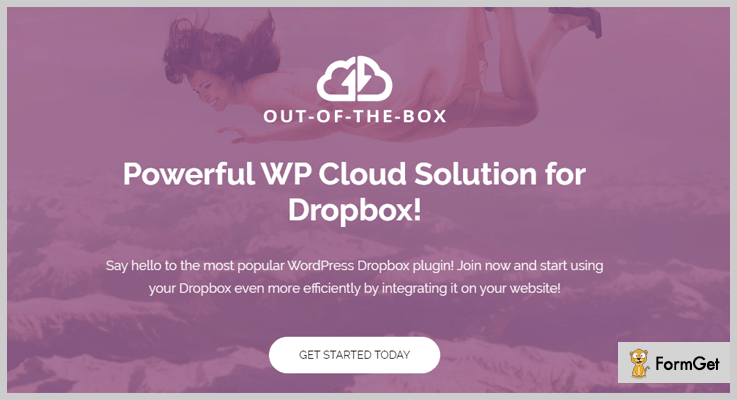 Moreover, these plugins will integrate your WordPress website with your Dropbox account. One of the major function of these plugins is they make a bridge for the data of your Dropbox account to your website. Now, you can approve and showcase it on the homepage. The listed Dropbox WordPress plugins are the crafted keeping in mind all the things matters for the user. Your documents and files will remain safe and the whole and sole permission of accessing your file can be granted by you only. The best feature is that all the plugins are well integrated with cloud storage. It means that you can access them from anywhere and any device. Moreover, you will also get the full facility to integrate your WordPress site with Dropbox account to make things easy. Now, let’s jump into the informative and best list of 7+ Best Dropbox WordPress Plugins. Dropr is very powerful and best in Dropbox WordPress plugins. It helps you to turns your Dropbox account into a secondary WordPress Media Library with ease. It comes with detailed documentation that provides you knowledge about usage of the plugin. Information can be collected with various images, PPTs and video tutorials. Also, you can access Dropbox files with the help of WordPress text editor screen. For 6 months supports at $19. File chooser to view, upload, and search files from your Dropbox Account. Insert images to the visual editor and as Featured Image with image file option. Helps you to embed Image, Video, Audio, Doc files directly to your WordPress site. Comes with Dropbox Chooser API to find your Dropbox files easily. Various customization options to change dimensions, add captions and option to insert the image as a link. Out of the box is the dynamic, simple yet professional dropbox plugin that displays your Dropbox files in a beautiful manner. The interesting thing is that you don’t require any prior coding language for the usage of this plugin and you can install it with ease. Moreover, it also provides a stunning gallery section to manage your pictures in your Dropbox. Out of Box dropbox plugin comes in with affordable pricing plans at $29 with support for 6 months. You may also get the extended support at $38.38 for 12 months. Comes with Upload Box which uploads Files to your Dropbox. You can also create a Client Area on your Dropbox when upload box is combined with the User Folder feature of this plugin. You will get Audio Player & Video Player to Stream media directly from your Dropbox. This comes true with HTML 5 media player with flash-fallback. Provides you OutoftheBox Embed button which will integrate the documents an into your page. Easy customization is possible with plugin settings. You can also select multiple skins for your media players with plugin settings. Dropbox is easy to use dropbox plugin that gives the freedom to serve various documents with the Dropbox infrastructure. This plugin comes with a clean and minimal user interface that helps in easy and fast uploading of files. Additionally, the plugin is translation ready and provides seamless integration with Dropbox. With free support and updates, this plugin is available for 6 months support at $ 12 only. You can also go with the other pricing option at $15 where you will get extended support for 12 months. The theme is compatible with all the major browsers like E10, IE11, Firefox, Safari, Opera, Chrome, Edge etc. Comes with Dropbox Library option on the left of the pop-up which displays the contents of your Dropbox folder starting at the root folder level. Dropbox button will help you to choose a file from your Dropbox account with great ease. 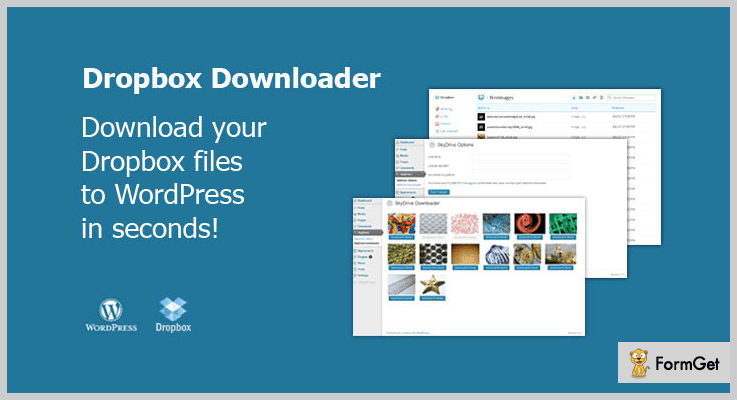 Dropbox Downloader is the most popular and reliable WordPress site backup and restores plugin. It creates a complete backup of your WordPress site and can store it in Dropbox account. You can insert images and other files directly from your Dropbox account whenever you want. 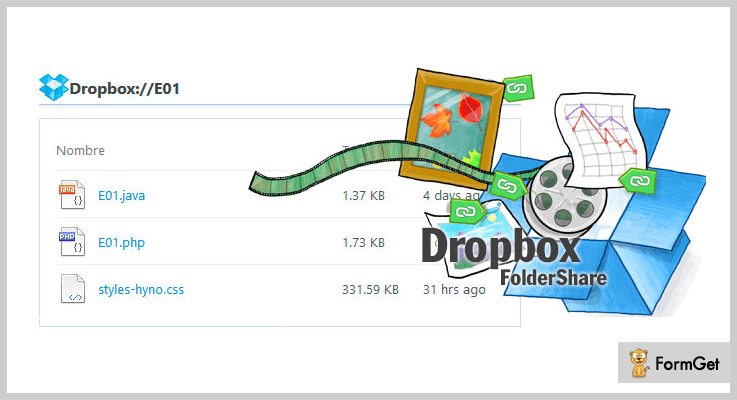 Moreover, you can view and download files from Dropbox account easily. This theme is available at an affordable pricing plan of $15 for 6 months and $19.13 with extended support for 12 months. This theme provides you complete freedom to upload any type of images. It saves the latest backup of your WordPress site to your Dropbox account. Provides your WordPress Media Library and File System to store files. 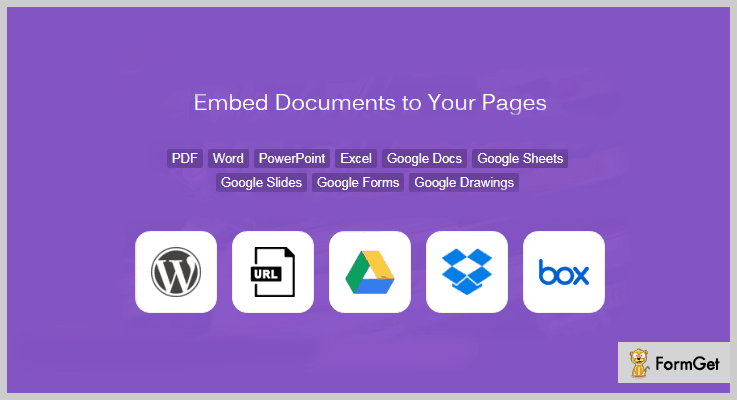 Embed Document plugin is a matchless plugin to showcase your documents on your WordPress site. It will prove to be a panacea for all document display related problems. You will get a proper documentation for the usage of this plugin which also includes a video tutorial. Organise all your files together in one central place with this plugin at $19. You may also like to get a extended support for 12 months at $24.63. No extra add-on installations required for viewing any document. The plugin itself will use either Google Docs viewer, Microsoft Online Doc Viewer, or Box Viewer to display the document. Provides you a custom button integrated with the TinyMCE editor. It is translation ready and will give you the best experience to save your files. Use of native file chooser of the chosen services for selecting the file will make the UI familiar to you. 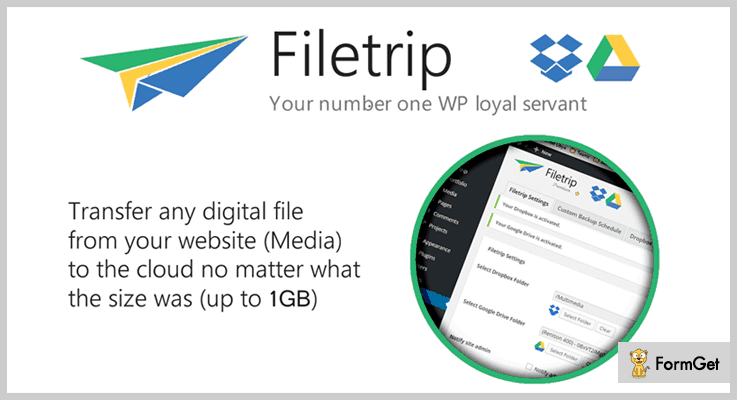 Filmtrip is designed keeping in mind all the needs for a best Dropbox experience. This plugin helps you to create unlimited uploaders and manage all the major file types. The look and feel of the original document will be same even after use. Get this fast friendly and supportive plugin at a simple pricing plan of $28. If you want the extended support for 12momths than you can go with pricing plan of $37. Comes with smart bulk media distributor with API interface which provides more speed. Provides you the opportunity to create unlimited customized uploaders with multiple cloud destinations. The plugin is very responsive both in back and front end. Complete restore for your site data is possible through your dashboard as backups are stored in the files of your site. 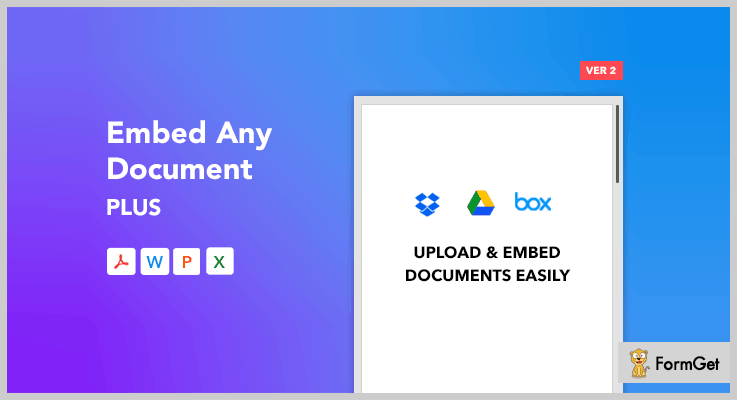 Embed Any Document Plus is a feature rich, powerful and multi-use dropbox WordPress plugin. You can embed any document hosted in DropBox & Box.com to your WordPress website with the help of this plugin. This shows that the plugin is seamlessly integrated with all the major support system. This plugin is even used by prestigious universities and educational websites around the world. Create the best alternative for your important backups with this plugin at $24. You will get the support for 6 months with this plan. You can also opt another pricing plan of $31.50 which provides you support for extended 12 months. This plugin has inbuilt features that help you to showcase your documents with ease. You will not need any additional plugins like flash to view them. Comes with a strong integration with Google Docs and Microsoft Office to provide you a better online experience. It is also integrated with cloud services for easy data transferability and transparency. 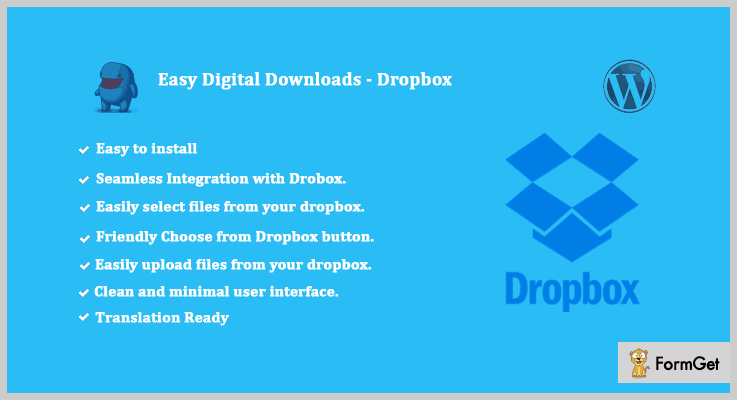 Dropbox folder share plugin is best in free dropbox WordPress plugins which let you share content in the cloud. This will help the mass users as content once shared can be accessed by people whom you want it to be accessed. You can easily install and take maximum advantage of this plugin as it does not require any coding knowledge. This makes it a user-friendly and clean plugin. You will be amazed to know that Dropbox folder share plugin is available absolutely FREE of cost. You can download it from the very own authentic platform of wordpress.org. Provides you a shortcode that will let you do agile things with very little effort. You will also get thumbnails which will help you in getting the preview images. Comes with the amazing feature of navigating even between the subfolders. The plugin settings will provide you to customizable every possible thing with few clicks only. Here we are done with the responsive and flexible dropbox WordPress plugins. We researched over hundreds of Dropbox plugins and then came to the best list. Hope you have got the right plugin or your WordPress website.